The all new iMBAPrice Kraft bubble mailers are reinforced using the newest sealing technology available in the market today. 4" x 8" Kraft #000 self-seal bubble mailer. 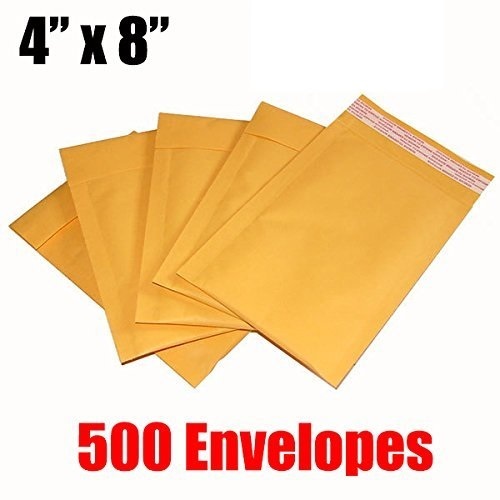 One box contains 500 individual 4"x8" Kraft 000 self-seal bubble mailers. The outer dimensions of the product are slightly larger. The bubble mailing envelope is not for mailing large items. Not a toy. Choking hazard: keep away from babies and small children.